You probably know by now I can't resist a cheap bargain, so when I saw The Warehouse had $6 Revlon polishes, you know I had to grab a few! 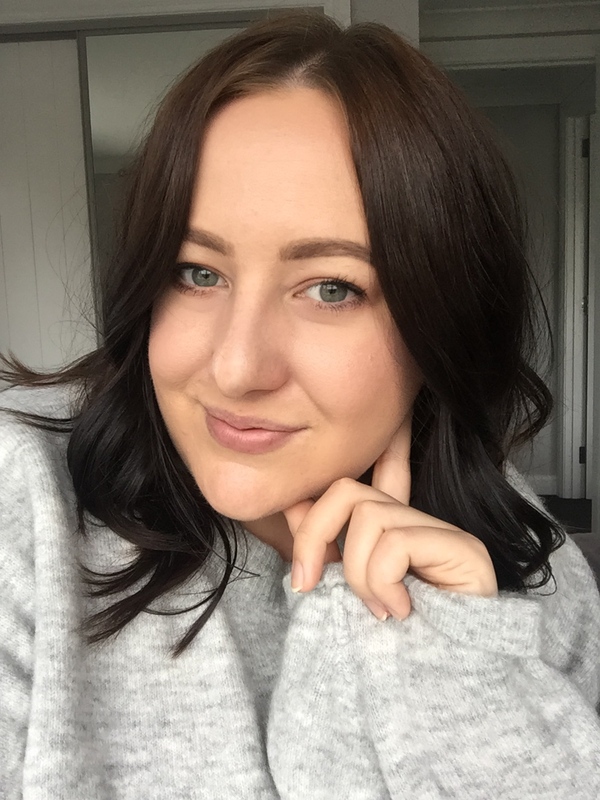 I really like the Revlon polishes and they make up quite a large chunk of my nail polish collection, they have a great colour range and have pretty good formulas - generally on the thin side and usually need two coats for them to be opaque. Revlon have now released their new Parfumeries range (blog post about a couple of them here) but before them Revlon had this range of scented one. 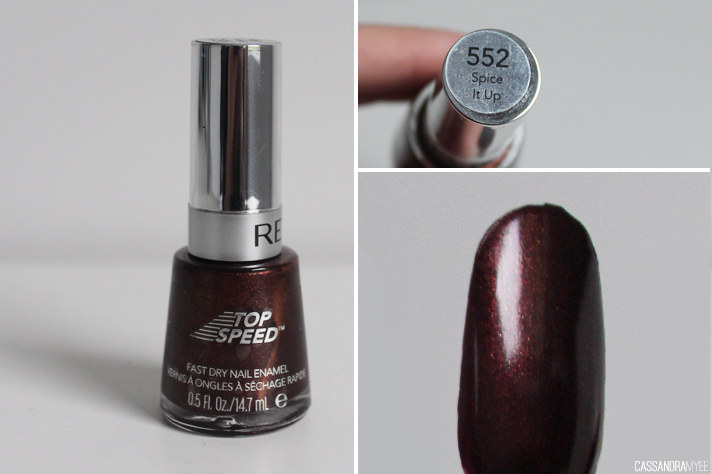 These don't have that great of a smell and they don't linger on the nails like the new ones do, but the colour of this one is really nice. 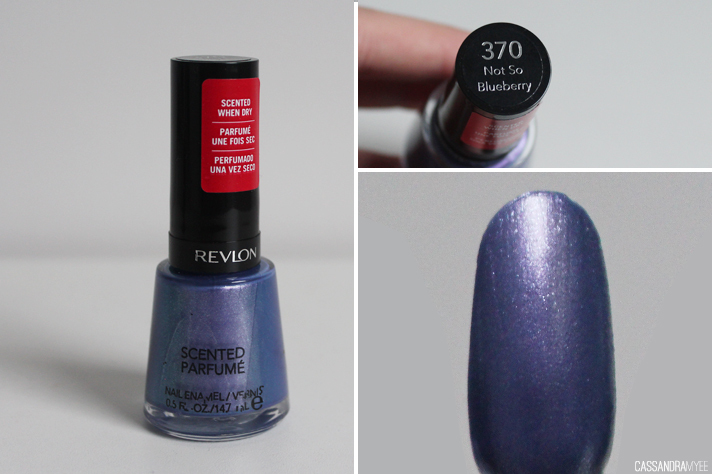 It is packed with micro shimmers in a violet/blue base. The Top Speed line is my preferred favourite as they really do dry quickly. 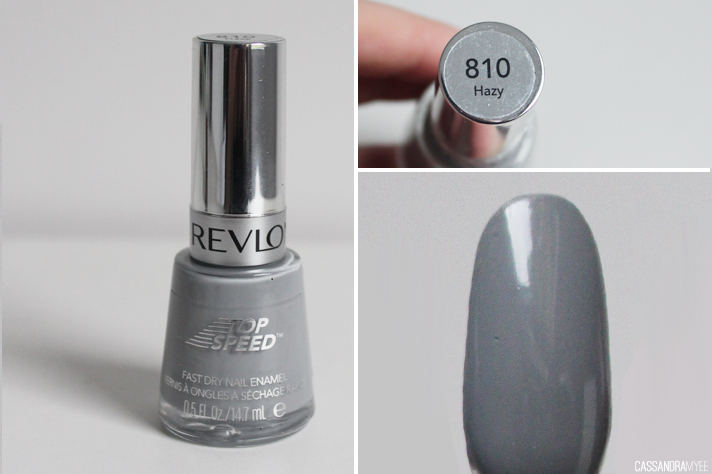 Hazy is just a standard light elephant grey colour; such an easy colour to wear on the nails. When I saw this shade all I could think of was winter and how perfect the shade was. It is a dark brown/red, with lots of lighter red micro shimmer running through it. I'm not sure whether they will have these Revlon polishes in every store around the country but I have definitely seen them in a few around the place. If not you can get them online as well here and get them sent out to you. 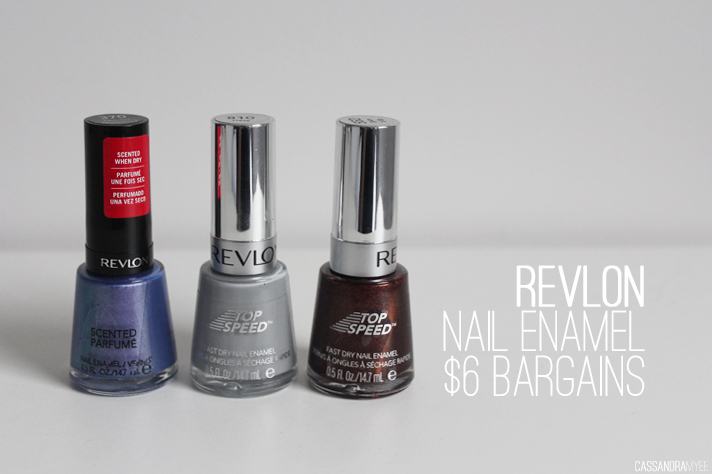 Do you like the Revlon polishes? Any favourite shades?